I hope everyone had a wonderful Halloween! LO managed to score herself quite a bit of candy and she had a grand time sorting it all and putting it in and pulling it out of her trick or treat bag. I think she had more fun doing that than actually trick or treating. I managed to sneak off to the drugstore for a quick minute and see the new displays. One of those displays was the new CoverGirl Hunger Games collection. One of the polishes in particular caught my eye, and that was Scalding Emerald. 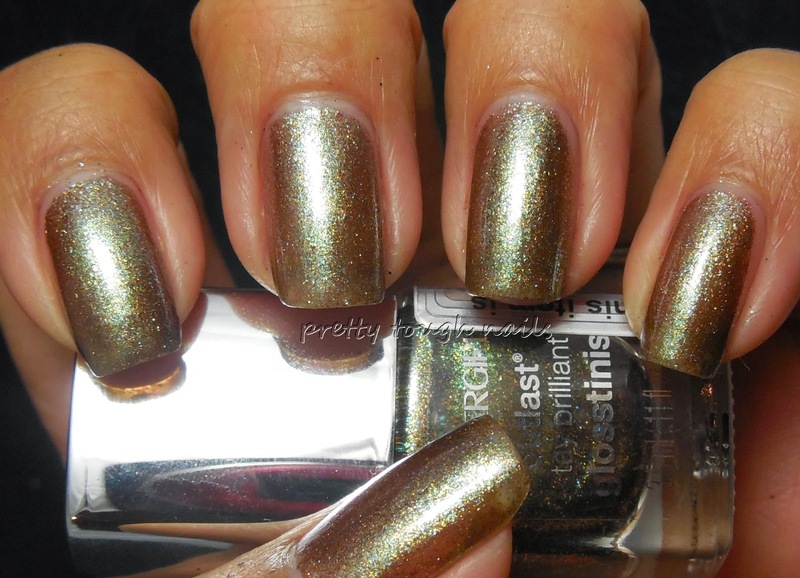 It's a multifaceted microglitter comprised of mostly gold and bronze and some sprinkling of green. The first coat applied sheer with easy control, and I used three coats here for full opacity. It's full of sparkly goodness! I used some Essie Matte About You and it toned down some of the sparkly goodness to allow the colors to shine through. Unfortunately, my battery died and I didn't have any extra batteries. I did manage to get one photo, hopefully you get the idea. The other colors in this collection all looked similarly interesting with microglitter formulas and a rainbow of colors. 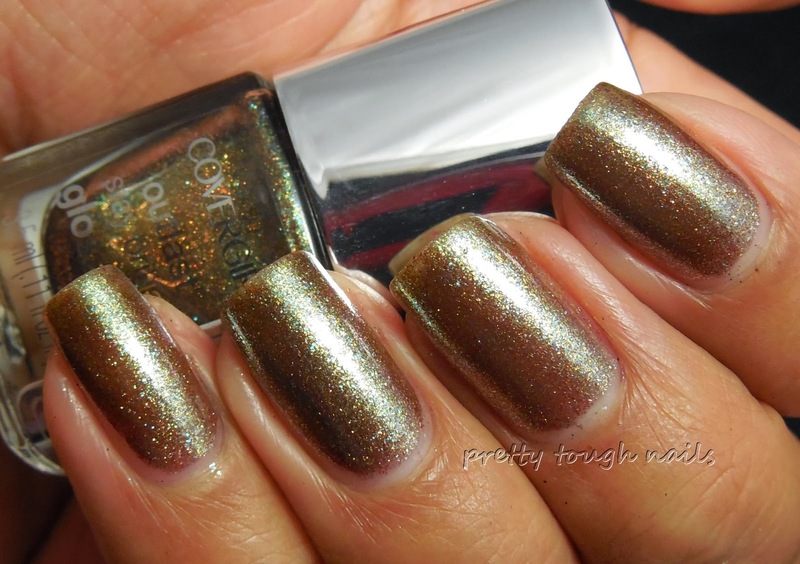 I'm not sure if I'll pick any more up though - I'm not a huge fan of overly sparkly, metallic-y polishes like this. Have you tried any of these yet? I love how beautifully complex this shade is too!